Start 09:00 hr till 17:00 hr from Klong Son or another place when required. Maximum 20 people on the boat. 1450 THB Per person, we need minimum 10 persons. Privat rent of the boat, contact us please. 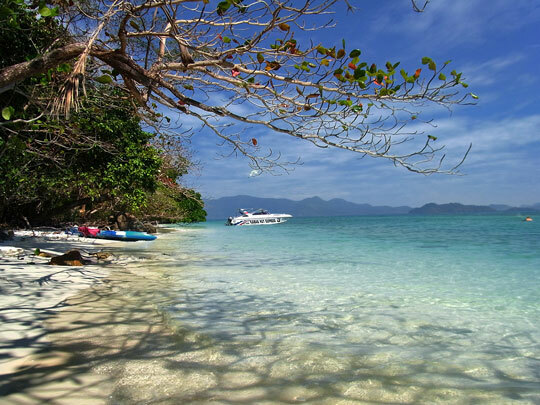 3 Island tour including lunch on board, Thai food and BBQ chicken and pork. Drinking water, coffee, life jackets and the snorkeling equipment are free of charge. Beer and soft drinks are available on the boat. 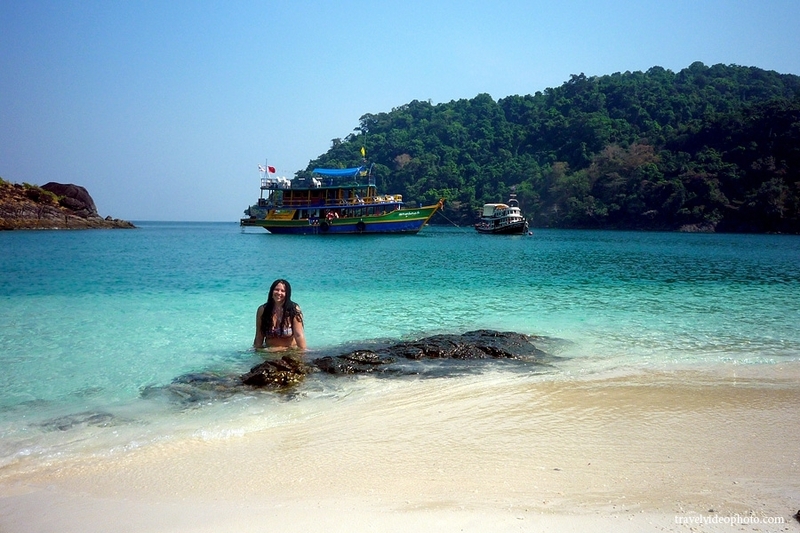 **Koh Khlum** is a historical island during the Thai-French Naval Battle like Koh Chang. The island is proper for fishing. The landscape comprising stone yard is worth a visit. 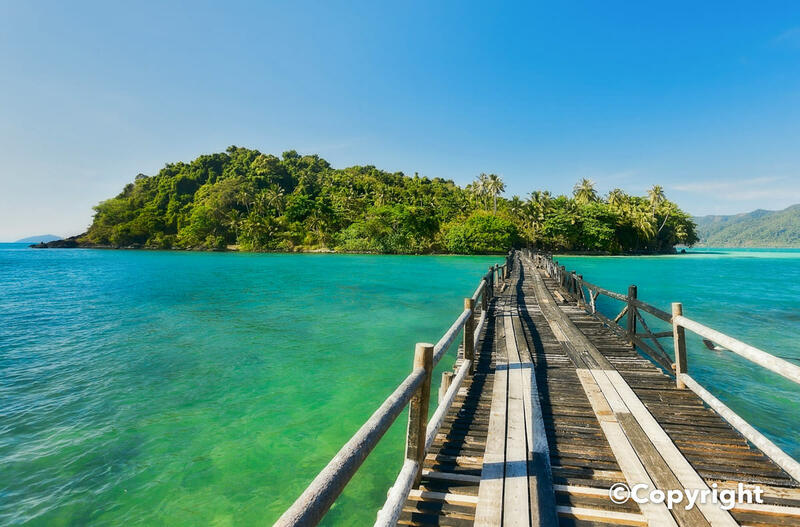 **Koh Wai** Island has an irregular shape and is 3 km long and 1 km wide at the widest point. The east part of the island is encircled by coral reef and has sand beaches while the west part is more rugged and hilly, and serves as a nesting ground for birds. The interior is covered by forest jungle. **Koh Laoya** lies at the south of Koh Chang. 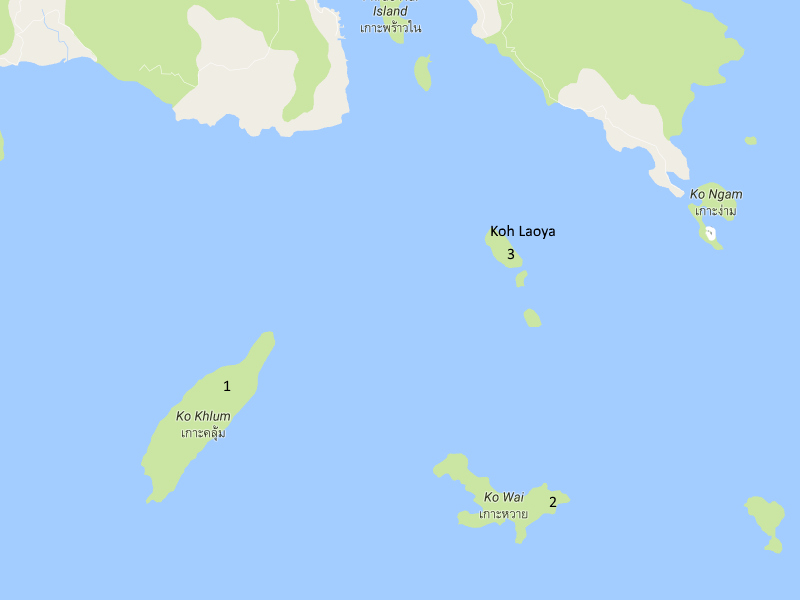 The group comprises of 3 islands – Koh Lao Ya Nai, Koh Lao Ya Klang and Koh Lao Ya Nok. The islands has beautiful beaches and crystal-clear water with a colorful corals. This island you must pay 200 THB fee when you want for a walk. Inner Koh Laoya is connected with a bridge to Middle Koh Laoya and is a must to do.